Every child deserves the right to play. With our Inclusive Play range, we're proud to say that we have made this possible. 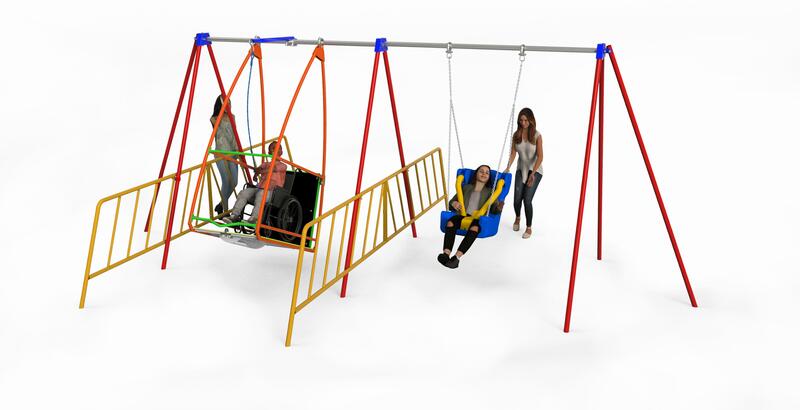 The AbilitySwing cradle as one of the many options of swing seats available, which lets a child have an amazing experience on a swing whilst still in their wheelchair. Welcome to the Brand New GL Jones Website! 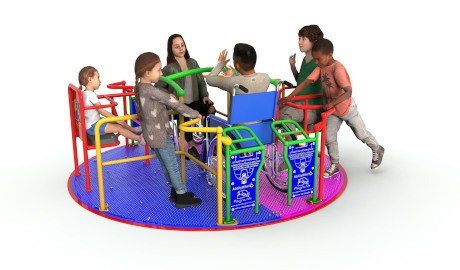 GL Jones Playgrounds are the creators of the AbilityRange featuring inclusive playground equipment such as the AbilityWhirl wheelchair roundabout, the AbilitySwing wheelchair swing, and the AbilityTrampoline wheelchair trampoline to name but a few. Established in 1978 GL Jones Playgrounds has been designing, manufacturing, installing and maintaining outdoor playground equipment for councils, schools, hospices, hospitals, charities and private individuals for nearly 40 years. During this time GL Jones Playground have established themselves as market leaders in inclusive play winning awards for innovative design in the process. With the goal of allowing children of all abilities to enjoy the pleasures of the play park we design all of our products with our motto “Every child deserves the right to play” in mind.